Surprise! I spun more lace weight yarn this weekend. I actually made 266 yards (3 ozs) of this stuff last weekend, but I liked it so much I spun another 180 yards (2 ozs) last night. 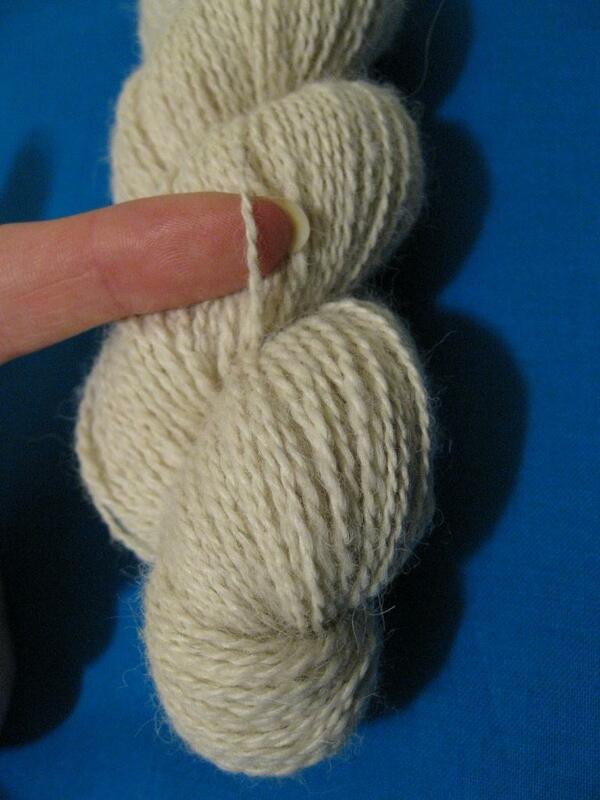 This yarn is 100% alpaca, a fleece given to us by the breeder who sold us our first alpacas. It really lends itself to lace weight yarn, though I couldn’t tell you why. 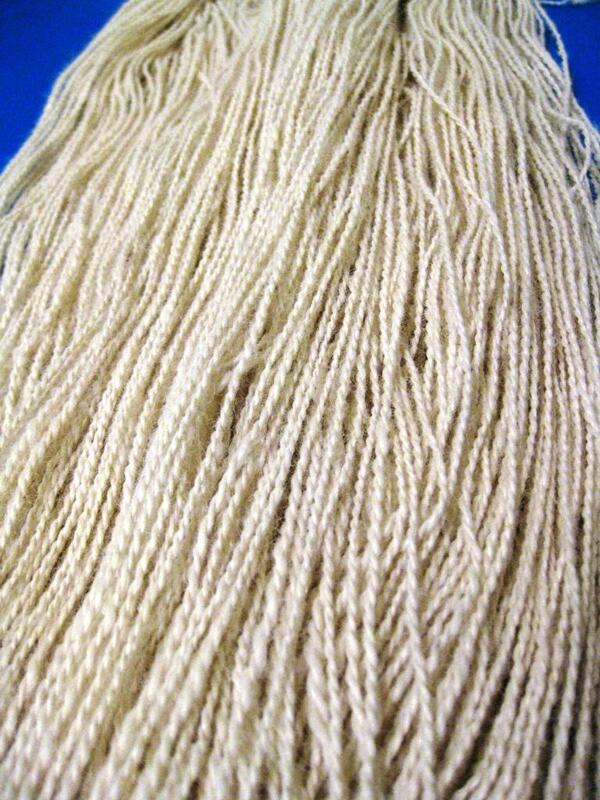 It’s in the character of the fiber, maybe it is particularly fine or has very long staples (that’s the length of each individual hair). Lately I just haven’t been able to ply on my wheel. Maybe I’m not consistent enough when I spin, or maybe I’m not patient enough when I ply. Either way, the only balanced yarn I’ve been making lately has come off my drop spindle. This entry was posted in fiber art and tagged alpaca yarn, drop spindle, hand spinning, hand spun yarn, handspinning, handspun yarn, lace weight yarn, yarn. Bookmark the permalink. 4 Responses to …and more lace weight yarn! Thanks! It just takes longer on the drop spindle! You should try it! It’s quite relaxing. I learned on a drop spindle from the owner of a local yarn and fiber store, but mostly from YouTube. I spun for a year or so on my drop spindle before upgrading to a wheel. One of the most fun things is deciding you want to make something using lace weight yarn, realizing you don’t have any, and then just spinning some yourself!